Smooth, quick and effective. The Mini Alpha Hunter and Guthook Ring will get the job done. The small, comfortable size of both the knife and the guthook ring make field dressing quick and easy. 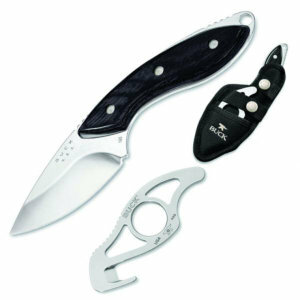 The full tang construction of the Mini Alpha and the durable design of the Guthook ring will not let you down.